An archaeological excavation in advance of drainage work in Svendborg, a city on the island of Funen in southeastern Denmark, unearthed a medieval amulet invoking both elves and the Triune God of Christianity. 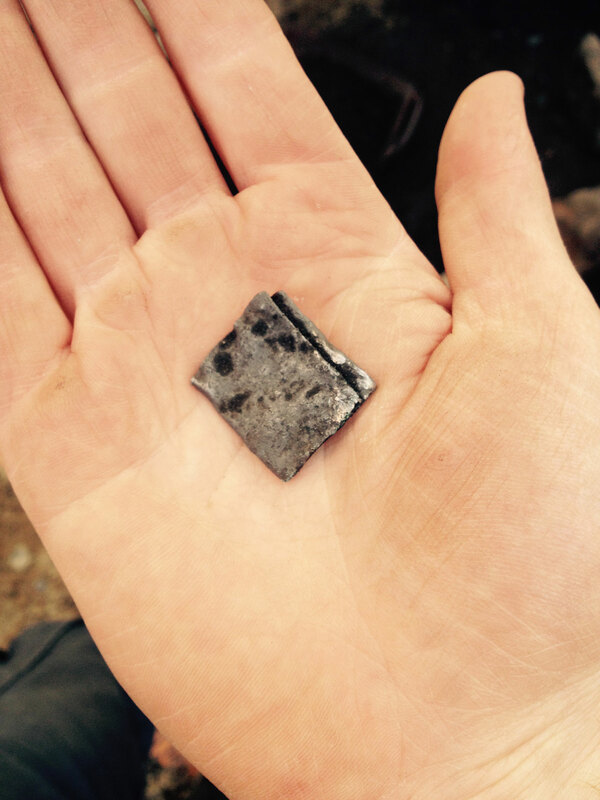 It didn’t look like much at first, a small square piece of metal just two centimeters (.8 inches) long and wide, but that’s because it was folded down the short side five times. Once unfolded, it was 13 centimeters (just over five inches) long. It was discovered on the Møllergade, one of two main roads encircling Svendborg’s old town. Previous excavations of the Møllergade have unearthed layers going back as far as 1150, but the amulet likely dates to the mid-13th century when the road was expanded northward as the city grew. While amulets of this kind have been found elsewhere in Denmark and other Scandinavian countries, this is the first one found in Svendborg. Metallurgic analysis found that the amulet had a high silver content. The piece of metal was painstakingly unfolded, without damaging the surface, and National Museum of Denmark curator Lisbeth Imer, an expert in inscriptions, examined the interior surface of the amulet under a microscope. She found five lines written in lower case Latin characters by someone with a sure hand and an eye for minute detail. The letters are between two and four millimeters high and are interspersed with crosses for added amulet value. I charge you Gordan, Gordin and Ingordan, elf men and elf wives and all demons by the Father and the Son and the Holy Spirit and by all of God’s saints, that you do not harm God’s handmaiden Margareta either the eyes or limbs. Amen. You are great in eternity, Lord. Gordan, Gordin and Ingordan feature on many wood and metal amulets found in Denmark, Norway and Sweden. Their significance has long been debated by historians, but several medieval manuscripts refer to them as folkloric figures. 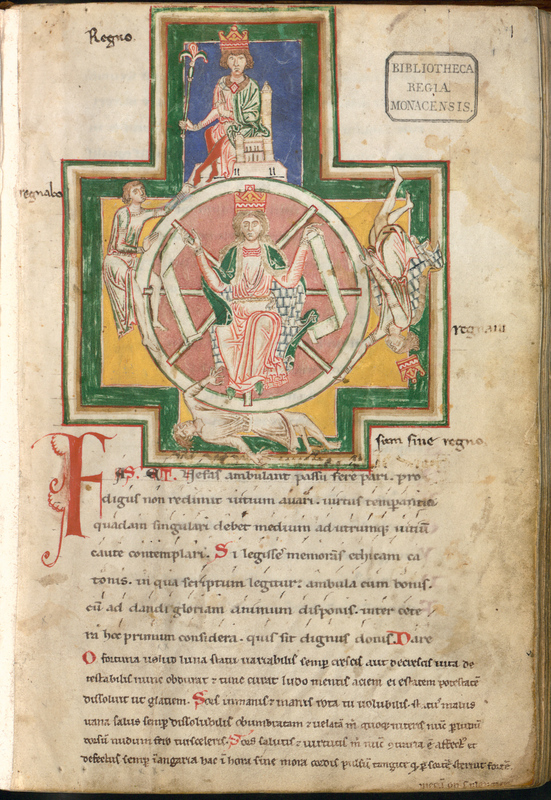 The Codex Upsaliensis, written in the first quarter of the 14th century, includes the phrase “I invoke you, elves, Gordin and Ingordin.” Carmina Burana, the manuscript of 254 poems and songs of traditional itinerant performers written in 1230, 24 of which would famously be put to music by Carl Orff in 1936, has a song in which Gordan, Ingordin and Ingordan appear as the villains. It’s the 54th piece, known as CB54, and it reads like a warding spell. I’m posting the whole thing because, simply stated, it’s awesome. From all our enemies, good Lord, deliver us. It’s a great example of how Christianity interpreted traditional folk beliefs and ancient religions as a direct threat to the souls and unity of its believers. I imagine Archbishop Gregory II of Agrigento spoke an incantation like this when he cast out the two demons/previous deities from the temple before he converted it into a church, only that was in the late 6th, early 7th century when the corpse of Greco-Roman polytheism was still fresh. Denmark only converted to Christianity in the 10th century, however, so while satyrs, sirens and hamadryads may have been thin on the ground so far up north, elves and trolls were very much in the picture when this song was sung and written down. Amulets provide fascinating glimpses into the long transition. The practice of invoking elves, demons and other assorted types from folklore like giants and trolls dates back to the Iron Age and is consistent even as the dominant religions change. In runic amulets from the Viking era, these creatures appeared next to the gods Thor and Odin. The wearer asked the gods for protection from disease or misfortune as incarnated by the characters from folklore. Once Christianity was established, the old gods were replaced with the new one and His scriptural support staff, but the structure of the invocation remained the same: a prayer asking a deity to prevent evil from befalling a person by calling out the scoundrel types who would do them harm. If said evil has a name, it can be contained and dispelled. Exorcising by substantializing, as CB54 puts it. 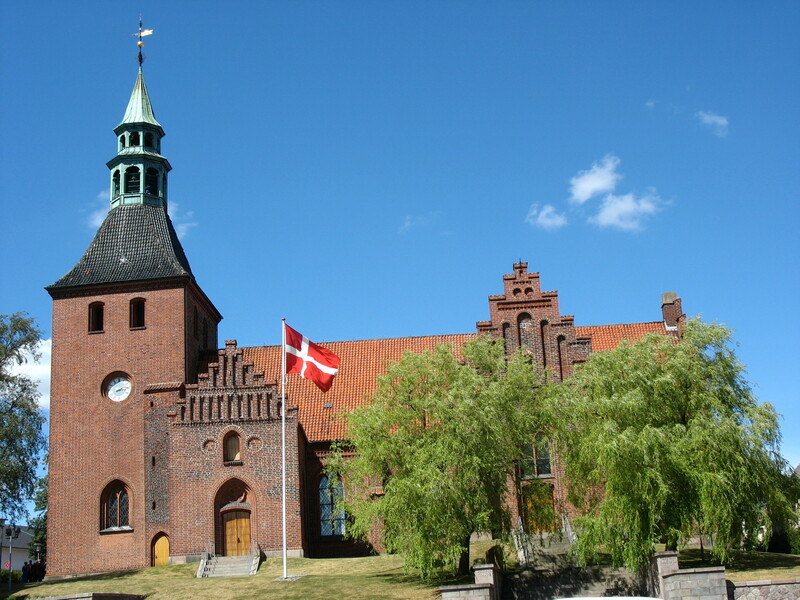 Svendborg was growing rapidly in the 13th century, and large-scale Christian structures were constructed in the burgeoning market town. The Church of Our Lady was built then, as was the Franciscan monastery. The Church of St. Nicholas, originally built of stone in the mid-12th century, was expanded and reconstructed in brick in the 1200s. Institutional growth can’t necessarily speak to the experience of the individual, however. The amulet bridges that gap. The amulet has also conferred on Margareta a very cool kind of immortality: she is now the oldest known female resident of Svendborg. This entry was posted on Sunday, April 24th, 2016 at 6:02 AM	and is filed under Medieval. You can follow any responses to this entry through the RSS 2.0 feed. You can skip to the end and leave a response. Pinging is currently not allowed. Gordan, (In)Gordin and Ingordan ? 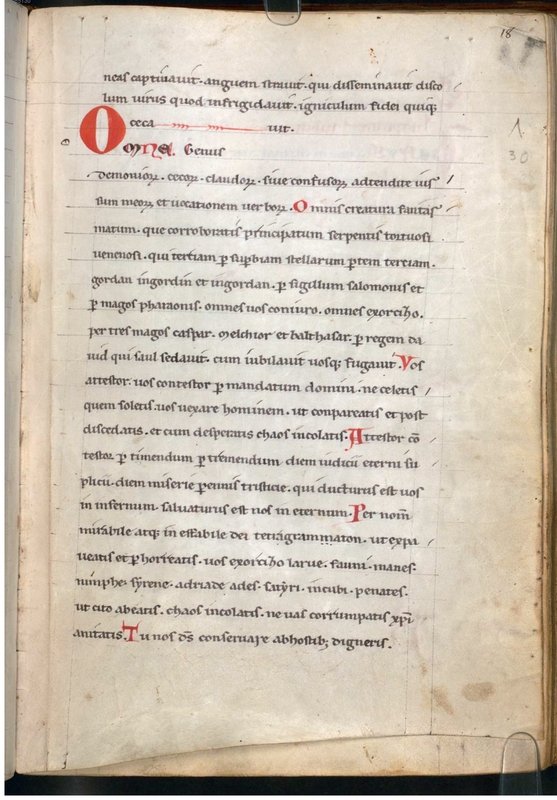 The poor Bavarian monks from the Ordo Sancti Benedicti were apparently ‘haunted’ by them already in the 13th century, and unfortunately they did not have no digital ‘History Blog’ back then. VI. Tu nos, Deus, conservare ab hostibus digneris! Thank you for posting the incantation. It is very powerful and beautiful. Margarethe now has ‘eternal’ life–she will be remembered. To be even more fanciful, perhaps this was an amulet to protect a pregnant woman. Wow……that incantation doesn’t exactly roll trippingly off the tongue does it. Gorden and Ingorden and The Unburnable Name, I invoke thee!